What a mess! How do you explain what's happening in New Delhi? 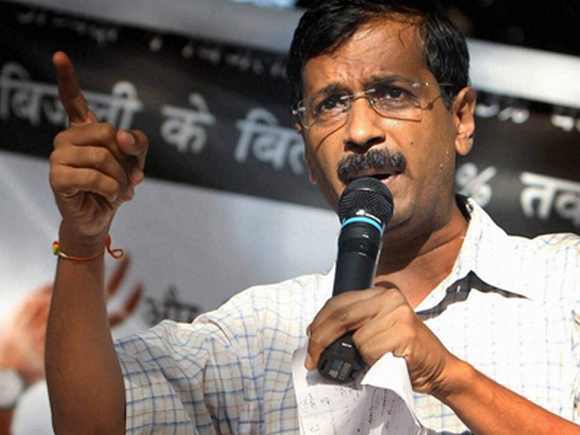 Arvind Kejriwal has struck fear in the heart of the political establishment. By talking about Robert Vadra, in the manner he did, he made best use of internet, television and print media. His anti-corruption movement has now got an edge. Neither can the media suppress what Kejriwal is saying nor can his political design be scuttled before he makes public charges which may or may not be substantiated. In spite of knowing that today he will be attacking Bharatiya Janata Party president Niitn Gadkari, his party has not been able to do anything but wait and watch, helplessly. What's happening in New Delhi can also be judged by just one hypothetical scenario. Imagine if Kejriwal next takes up 'Karthi Chidambaram's alleged corruption', creates a blast through his press conference and forces the Congress party, again, to run for cover. As in the case of Robert Vadra, a similar whispering campaign is on, since long, about Finance Minister P Chidambaram's son as well. It is very much possible that there is no concrete evidence of wrongdoing on the part of Karthi or of him using or abusing his father's enormous clout. But, it is believed since long that Kejriwal can "expose" some of Karthi's "financial deals" too. Kejriwal has shown, convincingly, that he is not afraid of the most powerful family in the country, so why would he shy away from the Chidambarams of Indian politics? For the first time in a long, long time, "having power" is not really "being powerful". Kejriwal's media-driven attack has given due importance to having credibility in public life. Kejriwal is creating excitement only because the credibility of politicians is negative. How does the establishment in New Delhi view Kejriwal? On expected lines. Kejriwal is, obviously, a dirty word among the powerful. Rediff.com spoke to two powerful persons, one senior Congressman and another very senior officer who has a panoramic view of the affairs of government. Both were in agreement that uncertainty is the name of the game and patience is the only option left to hold power in one's hand. The fear of the unknown has gripped those in power. This government insider, who handles some of the most important files and political issues everyday, gave a clear idea about what the UPA government thinks of Kejriwal: He is fascist, self-righteous and megalomaniac, in that order. Since Kejriwal is hurting politicians not strictly on grounds of legality, sophisticated arguments or logic, but by questioning their lack of probity in public life, Congress and BJP leaders privately brand Kejriwal and Prashant Bhushan as anarchists, gutter inspectors, muck-rakers and men on an impossible mission. Those who have no convincing argument to explain Robert Vadra's financial growth of Rs 300 crore in four years flat get frustrated and brand Kejriwal as a guerrilla on a hit and run mission. Most members of Parliament are buying time. The ruling party continues to remain engaged in finding out the weak links of Kejriwal and his team while the opposition parties are bent upon not giving any more space to him. They are convinced that Kejriwal will not be able to consolidate his gains because his team is fragile with egos and all kinds of vulnerabilities. In electoral politics he can succeed only as a spoilsport, the BJP thinks. Do the Congress and the BJP understand Kejriwal's game? Yes. They have realised well that the cushy and covert arrangement between the two political poles of Indian politics has collapsed. The Arun Jaitley kind of moderate thinkers do accept that Kejriwal has filled the vacuum in New Delhi's political world, and does give, in private, some credit to the latter. But in their final view, the BJP and Congress want to help each other put Kejriwal in his place. Notwithstanding the arrogance and corruption of Congress leaders and the skeletons in the BJP's cupboard, these politicians accept that Kejriwal has disturbed the cushy arrangement between different shades of power in New Delhi which was essentially unethical and anti-people. Since Kejriwal is on top of the situation currently and the credibility of the Congress is at its lowest, the Indian media is having an easy time to go full blast. When Subramanian Swamy and BJP leaders alleged that Kejriwal only targeted Robert Vadra but didn't stretch his argument to interlink the Vadra-DLF land scam to Priyanka, Rahul or Sonia Gandhi, Kejriwal retorted, "But who stops the BJP from exposing them?" Now, Kejriwal has educated the people of India on how the Opposition parties are also part of the "power set-up" as he has proved the unholy nexus between the BJP and Congress. Understandably, Congress and BJP leaders are on the same page in their assessment of Kejriwal. A close aide of Gadkari had told rediff.com on October 6 that the Vadra-DLF land deal scam's shelf value will only be two days! He was proven wrong, with IAS officer Ashok Khemka dominating headlines that implicate the Congress government of Haryana of protecting Vadra, a private citizen. After Kejriwal's press conference on the Vadra-DLF land deals, LK Advani, Sushma Swaraj, Rajnath Singh, Arun Jaitley and Narendra Modi have not uttered a word on the issue. Only sundry spokespersons are giving regular bytes. Late in the day Modi cleverly spoke not on Vadra's land deals but on Congress ministers' attempt to defend Vadra. The BJP is looking small after the IAC's press conference that exposed Vadra. When asked why BJP leaders were shying away from taking up the Vadra issue to the next level, the BJP's spokesman told rediff.com sheepishly, "You don't see how aggressively we are fighting the Rs 1.82 lakh crore 2G spectrum scam but you are quizzing us on the Rs 300 crore Vadra scam!" The BJP has no response, either in private or in public, to how Kejriwal has hijacked its issues, space and TV time. In fact, all the adjectives and abuses against Kejriwal and Prashant Bhushan are only helping the duo survive. How is the Congress going to do damage control after the Vadra expose? A senior journalist of a Hindi daily says the Congress can't control the damage, it can only make efforts to contain it. The strongest thing going in Sonia Gandhi's favour is that her position in the party is unchanged. The Vadra-DLF deal has not weakened her grip over the party. She was and is the unchallenged leader of the Congress. It should also be noted that in public perception, whatever logic and facts the party offers, she has lost her halo. In the last 10 days Sonia Gandhi has lost something inexplicable. The media has seen, in the last 12 years, how Advani to Sharad Pawar they were all in awe of her when she was around in Parliament's Central Hall. The winds of change that arrived without much notice has shaken her family's standing. The Congress's biggest argument on the allegations of corruption since the last four years is, "Is hamam main sab nange hain." The Congress curtly and strongly refuses to take the blame for nationwide corruption all alone. Their argument starts and ends with Jesus's quote, 'He who is without sin shall cast the first stone'. They feel frustrated that Gujarat Chief Minister Narendra Modi can distribute hundreds of hectares of land in Mundhra, Kutch, at throwaway price to Gautam Adani without anybody questioning him but for similar deals Congress Chief Minister Bhupinder Singh Hooda is being crucified in Haryana. The media, more than Kejriwal, plays a role here. The Congress party has now, finally, understood what is the meaning and power of any issue that goes viral on Twitter, Facebook, some 40-plus 24x7 TV channels and print media. The Prime Minister's Office or the Congress president has not lost self-confidence but there is an awkward feeling on Raisina Hill. Besides the political embarrassment of the Vadra-DLF deal, the ugly side of crony capitalism is haunting the PMO. The last eight years of Congress-led rule will go down in history for fostering crony deals of all sizes and shades. The Congress is getting the worst punch from India Against Corruption as the party is losing control not just over national affairs but its pride too. How else can you explain IAS officer Ashok Khemka's interview being beamed 100 times on TV channels? Khemka was transferred overnight by the Haryana government for seeking a probe into the Robert Vadra-DLF deals. This is a big change which should be seen along with the ambitious Kejriwal's mission to establish a new political party and the people's simmering anger due to price rise, arrogance of the ruling class and the stink of corruption that's increasing every day around us. The Congress is trying hard to change the topic and set a new agenda, but it's failing so far. The PMO hopes that the economy will improve and better statistics will help the government. Aadhar card will help direct cash transfers and may touch the hearts of the aam aadmi. The land bill's final version would also help pacify farmers But, all these efforts seem to fall short of enabling Sonia Gandhi reclaim her monopoly over the aam aadmi plank. It has been hijacked by Mamata Banerjee and Kejriwal -- with inflation, the hike in fuel price and cap on cooking gas cylinders adding to the damage. Sonia's biggest challenge is to get back her winning political slogan. Her jamai's multimillion deals can only worsen her efforts. India, for the first time, is witnessing with fascination how bigger and bigger issues are coming to the forefront. Whether it is the issue of gender imbalance, insensitivity towards rapes or the blatant illegal transfer of bureaucrats, India is seeing the process of maturing of debate. One does not know where it will lead the country. It will largely depend on the Congress and BJP's response to Kejriwal's mission. If Kejriwal's mission to make corruption a national issue fails and if his media-driven melodramatic attempt to bring in a mechanism to curb corruption is scuttled midway, then the blame will go largely to the Congress -- and even to the BJP.